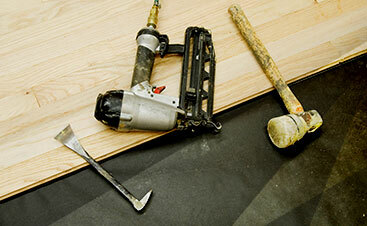 Caring for flooring in your home can be difficult. Like any chore you need to take care of in your residence, it’s time consuming, tiresome, and it’s not the ideal way you want to spend your Saturday. While we understand that you may not want to venture into cleaning your hardwood floors, taking care of your flooring is essential to ensure that it stays immaculate, beautiful, and doesn’t grow dull over time. Hardwood flooring is one of the more magnificent options for flooring. It’s versatile, can be preserved for years and years, and will give your home a warm, earthy feel to make it more welcoming. If you’re interested in learning more about this flooring option, then feel free to contact our Top Rated Local® Flooring Services to ask our experts any questions you want to be answered. If you’ve already had hardwood installed, then today’s blog will help you know how to clean your beautiful flooring. 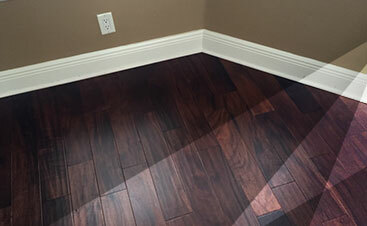 There are many ways that your hardwood flooring can dull over time, but when you pay special attention to your flooring and take the time to maintain it, then you’ll always have beautiful floors. Keep in mind that hardwood flooring can gather dust, grime, and other debris floating around your Tampa home, so it’s essential that you clean your hardwood flooring as often as possible. After all, don’t you want to ensure your flooring is shiny, beautiful, and looking new all of the time? How can you clean your hardwood flooring efficiently? With these are quality tips, you’ll know how to keep your flooring immaculate. In addition, if you’re eco-friendly and try to only use natural products, then stay tuned for our following blog that will cover cleaning hardwood with natural products. This blog is an overview for cleaning your hardwood flooring for anyone who wants to keep up with the maintenance of their floors. When it comes to cleaning hardwood, there are dos and don’ts and if you don’t follow them, then you could be looking at hardwood flooring that’s less than perfect. Sweeping is a great way to make any floor immaculate. We strongly encourage you to sweep and dust your flooring. However, there are certain areas that need to be treated differently. For instance, if you really want to vacuum instead of sweeping and dusting, then you should try using an electric broom or a hardwood-friendly vacuum. If you don’t have one, then you’ll want to use the devices off the vacuum and only get in between the crevices of the planks or in the corner of the room instead of vacuuming like your normally would. In addition, disposable dust clothes and soft microfiber pads for dusting are ideal for picking up the dirt and other debris. Leaving dust and debris out will lead to scratches on the floor’s finished planks, which is why it’s vital to dust or sweep with specific cleaning materials that are ideal for hardwood. You might already be aware of this, but cleaning your hardwood flooring with water is an absolute no-no. Putting water on your hardwood will warp the flooring and lead to a lot of damage that can cost a pretty penny to fix. While mopping is essential to keep your floorboards up to par, it’s vital that you do not use a lot of water. You’ll want to mop with very, very little water. You’ll want to use a damp mop as well as a cleaning product that’s specifically designed to maintain wood floors. Don’t use vinegar, water, or ammonia on hardwood flooring because it will not clean the floor. It won’t pick up the dirt or the grime, instead, it will damage the wooden floor and can dull the finish. By using a damp mop and cleaning products, you’ll be able to keep your hardwood floor safe while making sure your floor is clean. In addition, you’ll want to go the direction of the grain of the wood when you mop the floorboards. Be aware of any dirt that’s hardened, you’ll need to spot scrub the area gently with a cloth. When it comes to protecting your flooring, remember that the best way to do so is by cleaning it often. 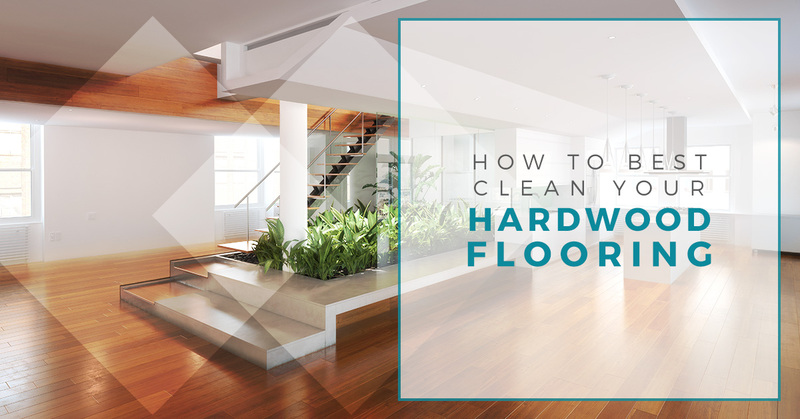 While the best practice to follow for your hardwood floor is by dusting every day and mopping once a week, you probably don’t have that time on your hands. However, you should make an effort to clean the floors as well as the doormats to ensure dirt isn’t tracked in. When people come visit, then have them take their shoes off. Also, area rugs are a great way to add some softness to the room as well as protect it. For more information on flooring and cleaning, continue to read our blog.